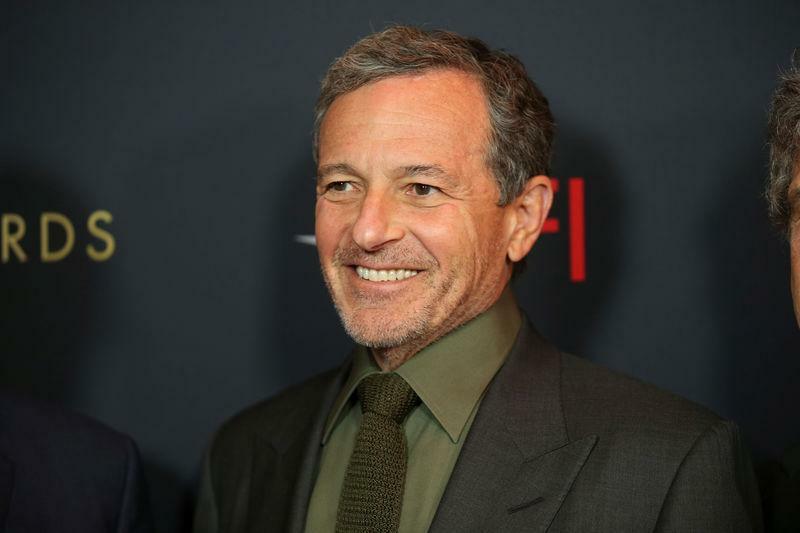 (Reuters) - Walt Disney Co (DIS.N) Chief Executive Officer Robert Iger earned stock grants worth as much as $149.6 million in 2018, including awards related to Disney's purchase of film and television assets from Twenty-First Century Fox (FOXA.O), according to a regulatory filing http://bit.ly/2D5dNjy on Friday. The media and entertainment company reported that Iger's compensation rose 80.9 percent to $65.6 million, excluding awards based on the Fox deal. Last month, Iger agreed to certain adjustments to his compensation package, which ties his paycheck to the company's performance, as it nears completion of the deal. The proxy filing released on Friday showed that Iger's $65.6 million compensation for 2018 included $35.4 million in stock awards. That 2018 stock award figure rises to $149.6 million, assuming completion of the acquisition and the highest level of performance conditions are achieved, Disney said.